Buddha Body Yoga Teacher Training Level I: Fundamentals of Teaching Yoga to People of Size with Michael Hayes, L.M.T. Friday, Aug. 2 • 6 p.m.–9 p.m. and	Saturday, Aug. 3 and Sunday, Aug. 4 • 10 a.m.–6 p.m.
Buddha Body Yoga in partnership with Integral Yoga Institute of	New York will offer its first teacher training, which will change	your perspective and address your concerns about teaching Yoga to	people of size. You will learn about the challenges facing people of	size in traditional Yoga classes. You will begin to understand how	to work with larger bodies and think creatively about modifications	of traditional asana for people of size. Buddha Body Yoga erases the myth that big bodies don’t do Yoga. Plus-size bodies can be strong and flexible, with a different base	of weight distribution. Come discover how to assist larger-bodied	students to develop and empower their Yoga practice. Learn how to	adjust, modify, and adapt Yoga poses for students of all sizes and	shapes. Experiment with supportive gear—including bolsters, chairs,	pillows, oversize blocks, and Yoga straps—to improve alignment,	balance, and flexibility gradually. Learn to think outside the box	so that you can give your students a whole new experience of their	bodies, a deeper connection with themselves, and a stronger Yoga	practice. The training is open to	200-hour-certified Yoga instructors. Yoga Alliance CEUs will be	available. Discount is available to Integral Yoga teachers and those	who have completed the Accessible Yoga Teacher Training. Contact chandra@iyiny.org for this	discount. Michael Hayes, L.M.T., created Buddha Body Yoga in 1990 as a result of his personal search for a Yoga practice that suited his large-body physique. Michael’s Yoga certifications include Sivananda, Allison West’s Yoga Union, and Dan Olansky’s Yoga Therapy. He has studied extensively since 2000 in the traditions of Iyengar, Ashtanga, Thai Yoga (Ruesri Dat Ton and Chi Nei Tsang at Loi Kroh), Om Vinyasa, and Yoga Anatomy with Leslie Kaminoff. He has traveled regularly to Thailand to study with master teachers there. Michael has more than 20 years of experience as a licensed massage therapist. 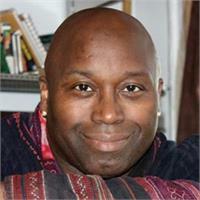 He has spent 15 years studying and teaching martial arts and has performed African and modern dance. Michael’s clients include performers, professional dancers, and Grammy Award–winning artists. He has combined his love of dance with the healing arts as staff massage therapist for the cast of Miss Saigon on Broadway and has served as the staff massage therapist at the Bates Dance Festival in Lewiston, Maine, for eight years.